TWO David Pipe-trained chasers have been left fighting for the final guaranteed place in the Randox Health Grand National following the latest forfeit stage on Monday morning. Stablemates La Vaticane and Doctor Harper occupy the 40th and 41st positions, with both horses weighted on 10st 6lb for the £1 million spectacular. Previous topweight Carlingford Lough and Sky Bet Chase winner Ziga Boy, both 33-1 shots, were among those ruled out of Saturday's race. Also taken out on Monday were the Willie Mullins-trained Alelchi Inois, Foxrock, Maggio and The Romford Pele, all of which would have landed a place in the contest based on the latest confirmations. Straidnahanna, Sizing Coal and Vics Canvas were also scratched, leaving 70 horses in the contest. With horses' latest official ratings used by BHA head of handicapping Phil Smith to determine contested places, La Vaticane would seem to have the better chance of being picked given her current BHA mark of 141 puts her 1lb in front of Doctor Harper. Behind the Pipe pair, Bless The Wings sits in clear 42nd with 10st 5lb, while Knock House, on 10st 4lb, has an uncontested 43rd spot so far. Frank Berry, racing manager for Carlingford Lough's owner JP McManus, said on Monday morning: "He's in the BoyleSports Irish Grand National on Easter Monday and could go there, or wait for the Coral Punchestown Gold Cup." Ziga Boy had been targeted at Aintree ever since his Doncaster victory in January but the eight-year-old, who is owned by the Axom Racing syndicate, is set for a lengthy spell on the sidelines. 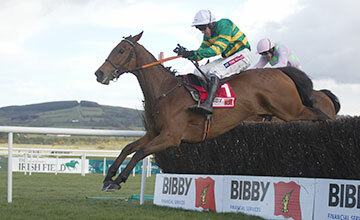 Trainer Alan King said: "He has got a leg injury. He'll miss next season as well. It's a great shame for the owners but they've taken it extremely well. It's hugely disappointing for everyone."